An Innovation Consultant applies a process that is designed to help an organization increase its innovation output. Put another way, an Innovation Consultant helps you solve the toughest challenges facing your organization. So, what is innovation output? It depends on your organization. If you are a company like the Clorox company it means increasing patent productivity. If you a company like S.C. Johnson it means getting more concepts in the product pipeline or making products you are already selling better. If you are St. Joseph University Parish in Buffalo, New York it means crafting a vision to guide a diverse, progressive, spirit-filled Christian community where ALL are welcome to deepen their faith and join in vibrant worship. If you are the Western New York business community in 2010, it means getting people with diverse, sometimes even competing interests, to work toward a unified goal. As a result, the community develops a plan that is so good it is awarded One Billion Dollars for economic development from New York state. How does an Innovation Consultant work? A reputable Innovation Consultant will follow a structured, research-validated process like Creative Problem Solving (CPS). A reputable Innovation Consultant does not make up a method on the fly. Just like a surgeon doesn’t re-invent a surgical procedure every time she operates on a patient. Although the innovation process that the consultant uses is structured, skilled Innovation Consultants are flexible in their approach and they adapt the process to the situation when necessary based on years, sometimes decades of experience. Why hire an Innovation Consultant? Before you hire an Innovation Consultant, make sure you are clear on what the key performance indicators are for success. You are going to spend a great deal of time and money on this organizational change initiative. Make sure that you know your desired outcome. When you clearly define your objective, this provides the consultant a target toward which they can design the specific innovation intervention. Make sure you have seen them in action. Before hiring an Innovation Consultant, make sure you have seen them in action, or they have been referred to you by someone who has worked with them in the past. If that is not possible, ask the consultant for references. When you eventually contact the Innovation Consultant you are considering working with, look for success stories and case studies on their website. Look closely at what have they done for other organizations. Then ask them for references that you can speak to directly. WARNING: If the consultant says that they cannot give you references because their clients are working on projects that are so secretive that they want to remain anonymous for their competitive advantage, RUN AWAY. I have worked with clients on very sensitive and even secret initiatives that are covered by stringent non-disclosure agreements. When I have developed a relationship with a client like this, and feel that it would be appropriate to ask for a reference, I have never had a client refuse. When interviewing a reference, you are interested in the working relationship they had with the consultant and if the consultant delivered. That’s all. It is not necessary to know what the specific initiative was. Unfortunately, some parts of the innovation field are like the Wild, Wild West. There are lots of gunslingers out there with six-shooters that would be happy to help you get creative in exchange for a sack of gold. So, what’s the difference between a gunslinger and a bona fide Innovation Consultant? 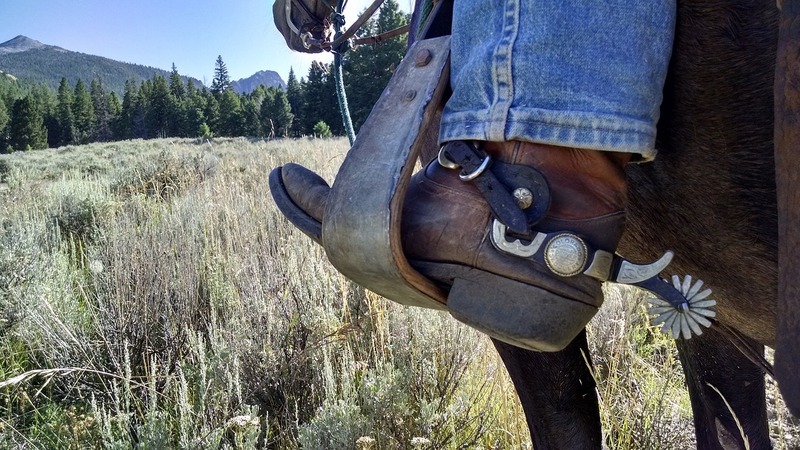 The gunslingers that I have encountered have attended a couple of creativity conferences, read a few books on innovation and have then taken what they learned and cobbled it together into an “exclusive” process that they claim they have invented. 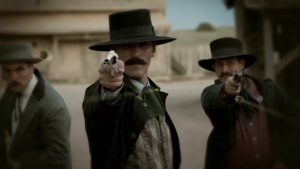 Gunslingers over-promise and under-deliver. As a result of their lack of a deep understanding of the creativity field, coupled with a big ego, they tend to get into situations that are over their heads. They waste the clients time and in some cases, make the client’s situation worse, not better. When looking for someone to help you think more creatively or make your organization more innovative, take your time selecting the Innovation Consulting that is best for you, and watch out for those innovation gunslingers. Those of you who have hired Innovation Consultants, what has been your experience with them? How did you decide to hire the Innovation Consultant that you did?